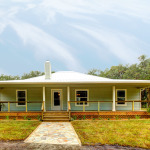 Your custom home begins with your imagination, a sketch on a napkin, clippings from a magazine, or simply your ideas. 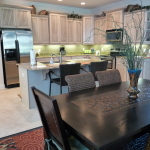 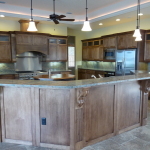 You can also choose to start from one of our previously built custom home plans. 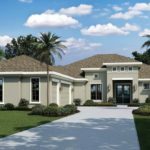 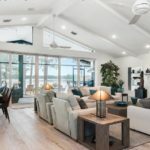 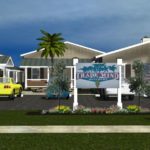 Trade Wind Builders and Trade Wind Home Designs will work closely with you as you begin to mold your custom home by sketching a floor plan that reflects your desires, needs and budget. 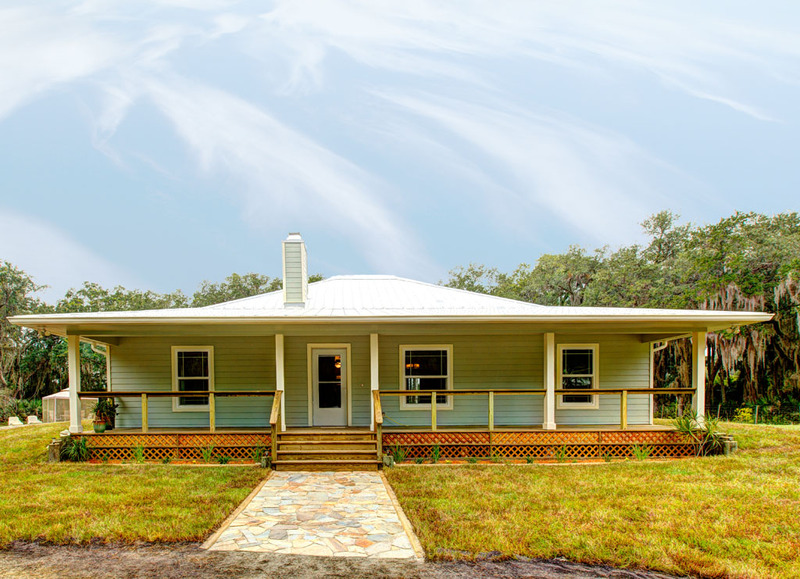 After you have approved the preliminary design and cost, Trade Wind Builders will work with you to fine tune the custom home design and specifications of your project. 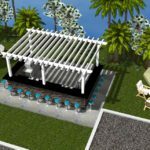 Once designs are completed the construction process can begin. 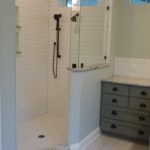 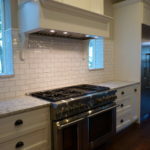 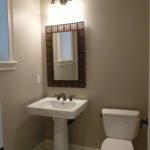 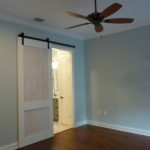 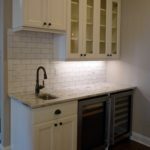 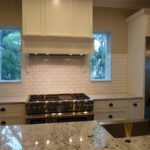 In this area I take pride in saying that we have, what I feel, are the best team of employees and subcontractors of any custom home builder in our area. 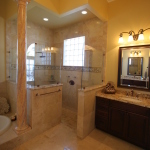 From permitting to construction, we have the knowledge and experience to construct and complete your custom home in a quality manner, timely and efficient. 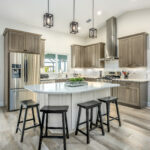 We always keep our customers involved throughout construction and listen to their needs and concerns; we help with any modifications that they may wish to make along the way. 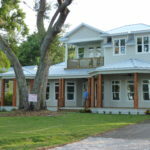 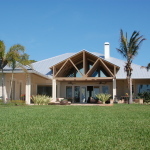 It is our Design / Build approach that sets Trade Wind Builders apart from other custom home builders. 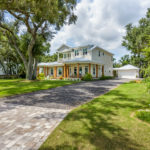 During construction, Trade Wind Builders will assist you in selecting items needed to complete your custom home, always trying to maintain the original budget and design intent. 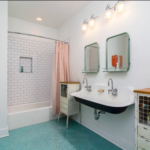 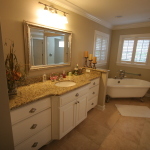 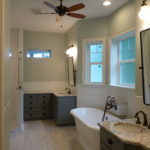 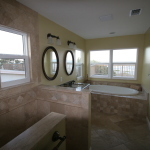 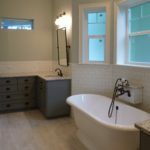 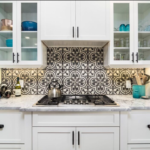 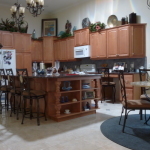 From roof shingles to doors, bath fixtures to towel bars, kitchen cabinets to flooring, every detail can be selected with the assistance of Trade Wind Builders and our team of professional vendors. 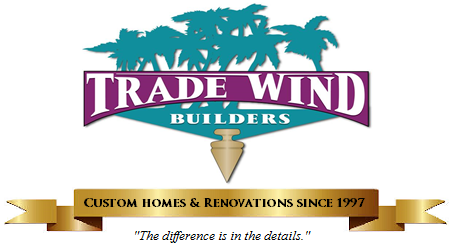 When the construction of the custom home is complete, the staff at Trade Wind Builders will always be available to listen to the customer and make sure all their needs have been met. 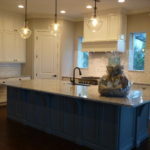 The staff at TWB believe that Customer Service is just as important as superior quality when building a custom home. 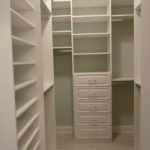 The closet has a finished system to maximize storage. 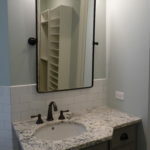 One of the 2 sink areas in this owners bathroom. 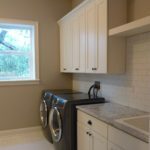 lots of storage underneath. 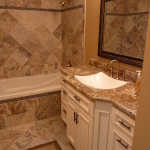 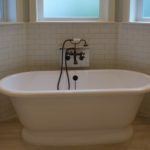 A free standing tub with mechanical shelf for the plumbing to be easily accessible. 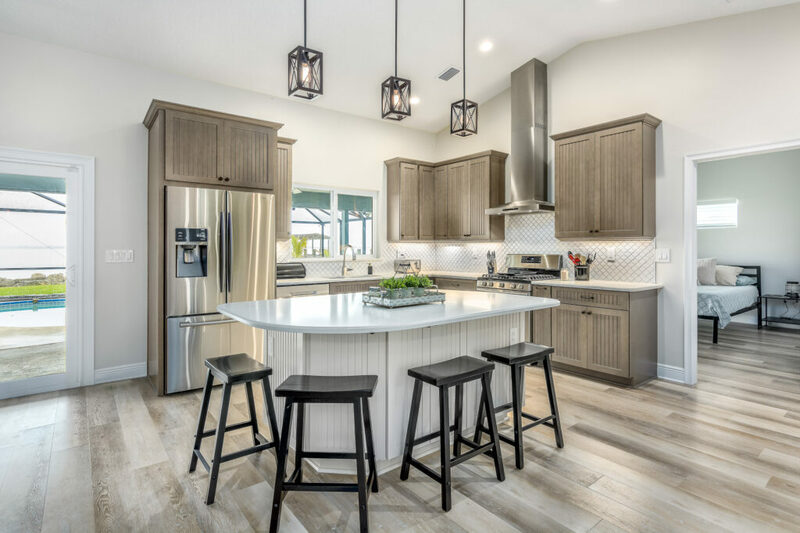 Modern Kitchen in Riverfront Home.